Lightly breaded chicken topped with ham and melted cheese is an irresistible trio your dinner table needs. 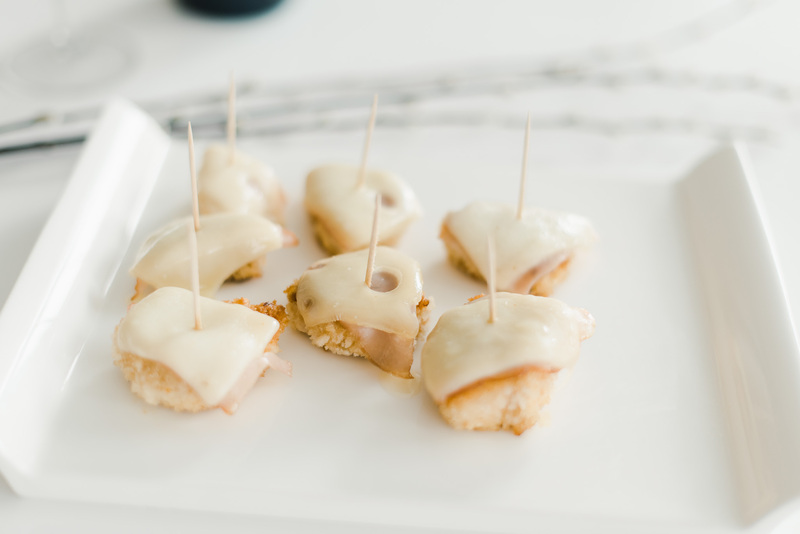 This warm, feel-good Chicken Cordon Bleu Bites recipe is easy to serve and fun to eat, but the best part? You can pull it all together in less than an hour. As you’re assembling your bites, know there are no added hormones in your chicken. The FDA does not allow the use of hormones in raising poultry so whether the package states it or not, there’s no need to wonder. Animal care is a top priority for South Dakota livestock farmers, and they work closely with professionals like veterinarians and animal nutritionists to make responsible decisions. They monitor the health and comfort of their animals carefully and feed them high-quality diets with protein-rich ingredients like soybean meal to support healthy growth. Ready to get the bite-sized goodness cooking? Watch the video below to see how this meal comes together and keep scrolling for the full recipe. If you want more of the ham and cheese combo, try these mini ham and cheese egg bakes. Heat oil over low/medium heat. Add flour, garlic salt, seasoning salt and paprika to baggie. Cut chicken breasts into bite size pieces. Dip chicken into soy milk to coat and then add to baggie with flour mixture. Shake well until bites are coated. Remove from baggie, dip into soy milk again and then roll around in panko bread crumbs to coat. Pan fry chicken bites approximately 7-9 minutes on each side, or until cooked to 170 F.
Remove chicken bites from pan. Drain oil and then place chicken bites back onto pan. Cover each bite with a square of ham and a slice of cheese. Cover pan to let cheese melt. Enjoy!